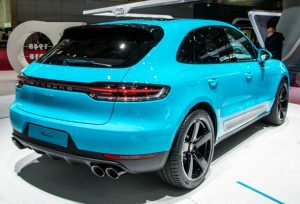 Back in July 2018, the 2019 Porsche Macan was launched officially. So, watch out for the car for sale in Abu Dhabi. However, at the time of release, it was available with a 2.0-liter turbocharged four-cylinder. 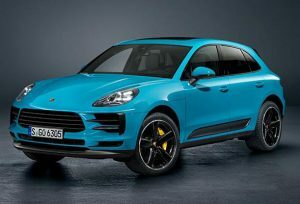 Now, Porsche has expanded the lineup with the release of the 2019 Macan S. The new version of Porsche’s compact SUV has a more powerful 3.0-liter V6 and also has a range of new features. The Porsche Macan S has the same engine as the Cayenne, Cayenne E-Hybrid, and Panamera. It has a single twin-scroll turbocharger that is placed at the center of the inner-V of the engine. This layout cut downs the exhaust paths from the combustion chambers leading to the turbocharger. This results in increased responsiveness when compared to the preceding powertrain. Thanks to the twin-scroll technology, exhaust gas flows are fed continuously to the turbine wheel as separate streams which reduce any charge cycle disadvantages significantly. The twin-scroll turbocharger also offers high torque at low engine speeds. The combustion chamber design encourages efficient mixture formation and the power output per liter has been increased from 113 to 118 PS. The Macan S offers 354 horsepower and 480 Nm of torque. Looking for a new Porsche car? 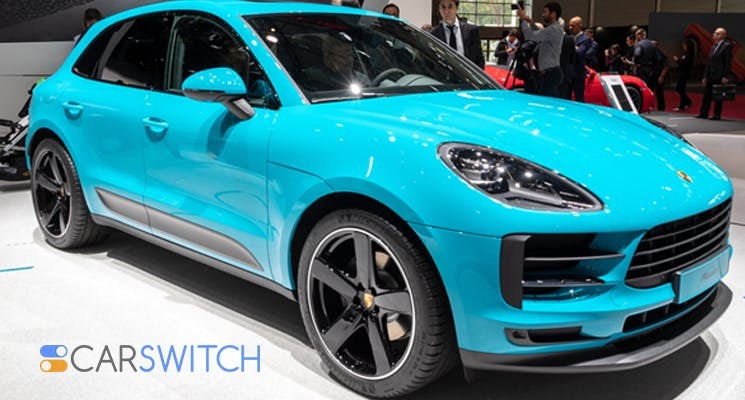 Check out CarSwitch.com as we have a huge inventory of Porsche vehicles. The Macan S features a three-dimensional rear LED light bar and additionally you can also opt for Porsche Dynamic Light System Plus (PDLS Plus). 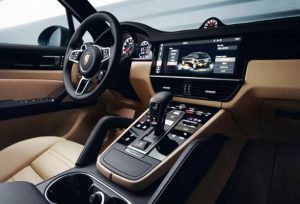 Apart from that, it also has the new Porsche Communication Management (PCM) which comes with a 10.9-inch full-HD touchscreen. It is fully networked and also offers online navigation with real-time traffic updates through a mobile phone connection, “Here Cloud”, voice control, and two audio interfaces. Other features include Porsche Connect Plus and a Wi-Fi hotspot. Porsche has also put in a lot of work into the brakes of the new Macan. The pedal weighs nearly 300 grams less than the previous steel part and it uses a shortened lever arm to act on the brake master cylinder. This improves the brake response and the firm connection results in a more precise pressure point. The diameter of the front brake discs has been increased to 360 mm and the disc thickness now measures at 36 mm. The brake pads are copper-free and the can also be equipped with the Porsche Ceramic Composite Brake (PCCB). Do you want to buy a used Porsche car? Check out our collection of used Porsche cars on CarSwitch.com today. The chassis of the Macan S features Porsche Traction Management (PTM) four-wheel drive and staggered tires. It has also been revamped and optimized. The spring forks on the front axle are made from aluminum and the new design reduces unsprung mass and is more rigid. This makes steering more precise and also improves ride comfort. The sway bars have also been tuned and this ensures neutral handling. The Porsche Active Stability Management, (PASM) is also there for active damper control. Apart from that, the car also comes with Porsche Torque Vectoring Plus (PTV Plus), shock absorber hydraulics, and adjustable air suspension. Want to upgrade your car or sell your car in Abu Dhabi? Log onto CarSwitch.com for a transparent and hassle-free experience. Happy shopping! Back in June 2018, it was announced that Porsche has taken a 10 percent stake in.